Today’s offering from Katherine Windham’s Booke of Cookery and Housekeeping of 1707, transcribed by my friends Bonnie Lovelock and Roger Sykes, looks at the kind of solid fare suitable for the colder weather. It also introduces a theme that runs throughout her book: how to preserve food in the days before refrigeration. It’s tempting to assume that wealthy families like the Windhams dined exclusively on exotic dishes. These recipes show a somewhat different picture. 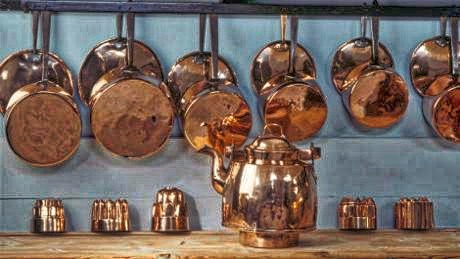 There are exotic foods—and some expensive spices to flavour them—but there are also instructions on how to prepare the food that would have been produced on the Felbrigg Estate: mutton, pork, veal, beef, venison and pigeon.